Looking for the perfect gift for kids isn’t always easy especially kids who love to build. You have to wonder what set they have and what items they need. 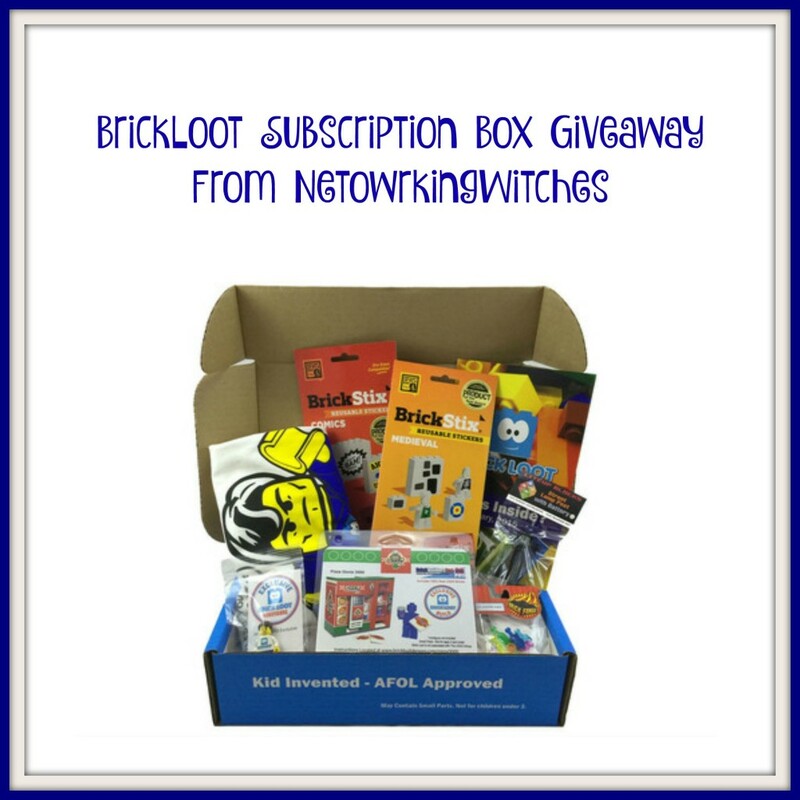 Brick Loot makes this easy, their monthly subscription box will send a box directly to your home filled with LEGOs, bricks and items related that will be needed for building. Disclosure: The bloggers participating in this event have NOT been compensated for this post. Networking Witches provides honest opinions, beliefs or experiences on products reviewed. Networking Witches is NOT responsible for prize fulfillment, BuddhiBox will be sending prize directly to the winner. This event is in no way associated with, sponsored, administered, or endorsed by Twitter, Google, Pinterest or any other social media. If you have any questions or would like help in promoting your own product please contact me at Joie@NetworkingPerks.com . The disclosure is done in accordance with the Federal Trade Commission 10 CFR, Part 255 Guides concerning the use of Endorsements and Testimonials in Advertising. So many great building sets! One thing I’d love to get is the LEGO Inspired Brick Silicone Ice and Candy Tray. It’s also cool that they offer a “mystery past box” purchase option. The brickland express train set. I’d like to receive the medieval Brick Stix. I would love to receive the LED Sports Digital Lego Style Brick Watch for Men, Women, and Children. The Brickland Express would make a nice gift for a grandchild. I like the Super Heroes Box.